Light is fundamental to our existence. Over 50% of the world’s population lives in cities and the United Nations estimates that by 2050 this figure will rise to 70%. But we are not using our cities and towns to their fullest potential. Night-time presents great challenges to cities around the world. While more and more people are living in cities, this has not always successfully translated into a ‘24 hour’ city. In many cities there is no strategic planning and design for the nighttime. A holistic approach to urban lighting could create vibrant and safe places for people in cities—at all hours. We must rethink urban lighting beyond safety or beautification and more as a way of improving the quality of life for people who live in cities “total architecture”, enhance cultural experiences and encourage social interaction. The integration of smart LEDs in city systems enable lighting that is responsive to specific contexts, while the understanding of the impact of light on human behaviour can help us design more liveable urban environments. We need to find ‘the right kind of light’ for urban environments. At night, the impression of a city is created through what is lit. Light and art create the atmosphere, whilst shaping the sensorial experiences of our surroundings. Illumination alters spaces; as a medium, it enables designers to play with shades, color and intensities. Research shows that lighting can trigger positive behaviour—for example, by inducing a positively balanced mood. LEDs give us the tools to address complex urban challenges in new ways. 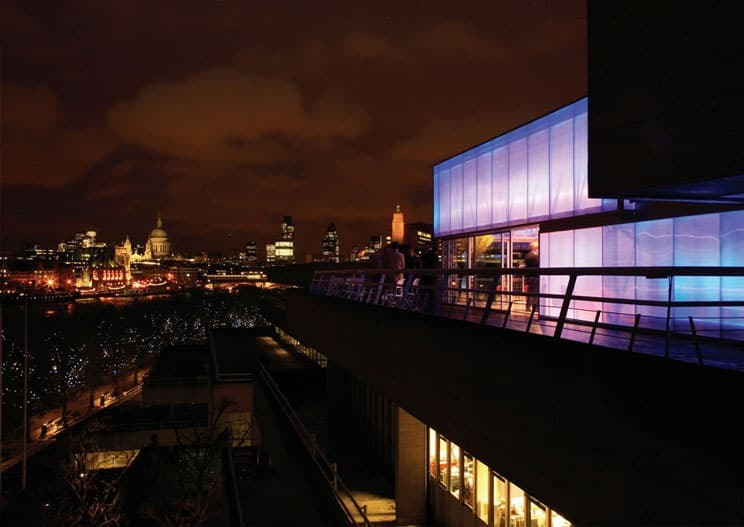 Night-time lighting can be more responsive to environmental, social and contextual needs through smart technologies. At Danpal, our customised and easy-to-install range of systems literally transform light – whether natural or artificial – into a powerful and versatile tool, for architectural creations that radiate inside and out. 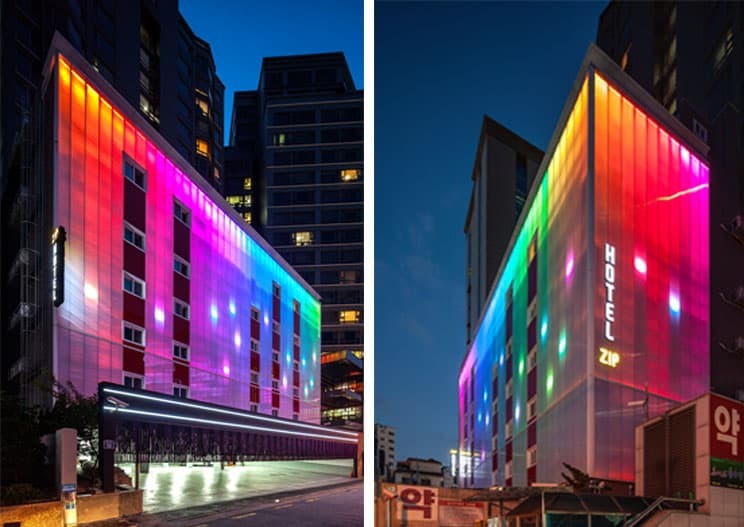 For example, Danpal’s extensive range of lighting offers architects a rich palette to create inspired facades – illuminating the user’s experience with sunlight by day then offering spectacular light walls radiating internal light in the evenings. 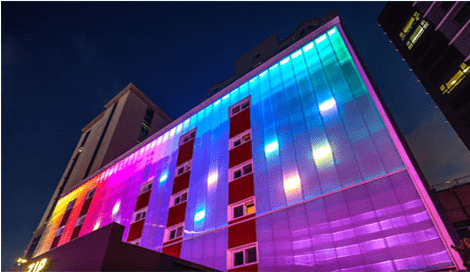 Danpatherm is a durable, pre-fabricated cassette system integrated with a complete LED lighting system offering artificial lighting for endless design possibilities at night.